Impact Wrestling announced its move to the Pursuit Channel this morning, leaving Pop TV with the expiration of the current contract. It was known that Impact was looking elsewhere for a new home for months. The bad news is that it will remain in the 10 p.m. to midnight time slot and move to Fridays, the same time slot that led to a huge decline in ratings on Pop TV, but on a significantly worse night for viewing, and on a much lower rated station. 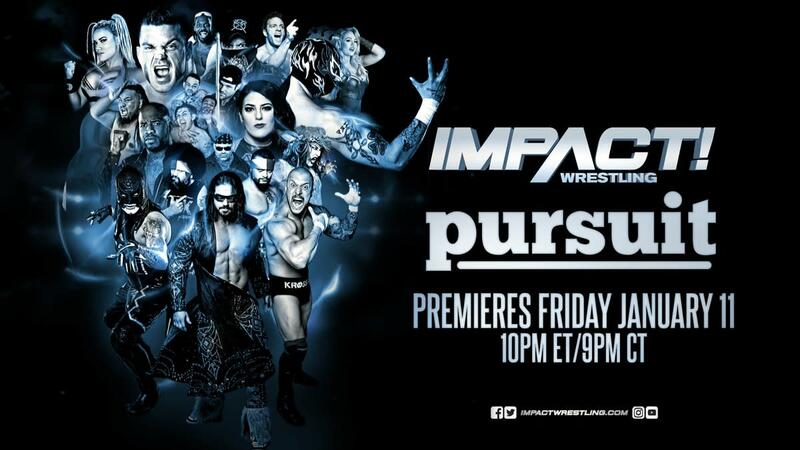 Impact will debut on Pursuit on Friday, January 11. Pursuit is a hunting/outdoors channel that Anthem Entertainment owns a significant minority ownership in. It has been around since 2008 and is carried as Ch. 604 on DirecTV and Ch. 393 on Dish, as well as 1644 on AT&T and 818 on Verizon FIOS. It is considered as a sister station of The Fight Network, which Anthem owns. Essentially Anthem put the show on its own channel, and not even in a strong time slot. Pursuit only started subscribing to Nielsen in the early part of this year. However, in listings of even minor stations when it comes to homes cleared, it is not listed. Impact lauded Pursuit as the most widely distributed outdoor network and one of the fastest growing channels in the country. "Pursuit Channel is a natural fit for Impact," said Ed Nordholm, president of Impact Wrestling. "It has a passionate viewership base that correlates strongly with our core audience, and is one of the few broadcast destinations that is expanding its footprint, enjoying a 15 percent increase in distribution this year alone. With Impact Wrestling coming off a tremendous year of audience growth globally and positive fan engagement, we look forward to leveraging our respective resources to bring fans more of the wrestling content they want to see: Tougher, edgier action." Impact will air the next two weeks on Pop, December 27 and January 3, in its normal time slot.